A Cosmic GPS System For A More Abundant & Joyful Life. 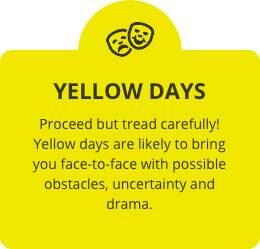 Did You Know There Are Specific Days In The Coming Weeks That Are Cosmically Destined To Thrust Thrilling Opportunities… Potential Obstacles... And Risky Danger Into Your Life? 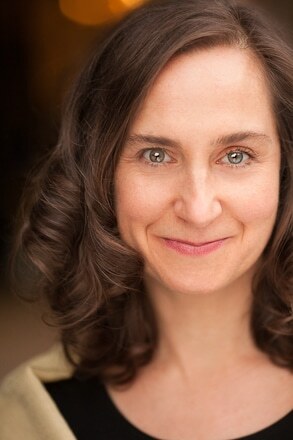 I’ve spent the past 16 years helping tens of thousands of people harness the power of Vedic Astrology – from CEOs and celebrities to artists and housewives. Along the way, I’ve come to realize that before most of us can enjoy the benefits of astrology… we need to be able to understand it, use it, and stick to it. So many people have come to me confused, frustrated, and stressed out. All because they didn’t know where to start. Or where to find the time to start! That’s what inspired me to design Conscious Calendars: a simple technology for busy people, that brings the timing and planning benefits of astrology seamlessly into your daily schedule. After this time is up, you’ll have the option to extend your Conscious Calendar, if you feel it served you. Either way, I hope you enjoy this transformational gift! ENTER YOUR DETAILS BELOW TO RECEIVE YOUR FREE CONSCIOUS CALENDAR, CALCULATED USING THE REMARKABLY ACCURATE PRINCIPLES OF VEDIC ASTROLOGY. You can immediately start applying the Red, Yellow and Green Days into your life. Receive access to free training videos on how to maximize opportunity on Green Days, how to weather the storms of Red and Yellow Days and get a guided visualization as part of your free experience - so make sure to open the email that gives you access to this month's free Conscious Calendar. 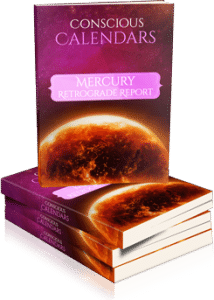 Conscious Calendars: the power of Vedic astrology, simplified. There is an all-encompassing rhythm pulsating across the universe that quietly influences the daily events, circumstances, people, and even emotions entering your life. Those who learn to trace out the ebb and flow of this rhythm, and align their lives with it, succeed and are happy and content. 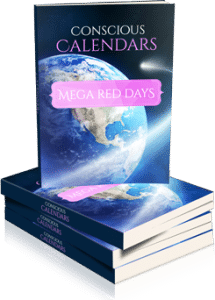 Conscious Calendars are color-coded calendars that simplify the complexity of Vedic Astrology. 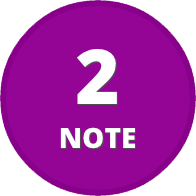 You have an elegant and practical solution to tap into the power days each month. One Glance and You Get It. 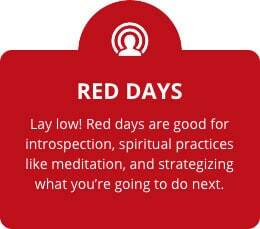 Watch the Video to learn about how to use Green Days in the Conscious Calendars. Green Days mean GO! You can maximize your effectiveness and align with luck on Green Days. People are more available to help and connect on Green Days, for instance you might reach out to an important contact for future work or get a perfect job offer on a Green Day. Green Days are good for social events, romantic connections, and are great for communicating and making major changes in life. Green means go and flow with opportunity. Get your free sample of this month's Conscious Calendar when you sign up on the form on this page for free astrology updates from Kathleen Whalen, Vedic Astrologer. NOTE THE COLOR OF THAT DAY. 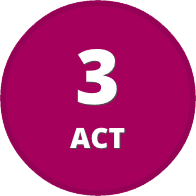 ACT ACCORDING TO THE DAY’S COLOR. How would your life change if you knew – in advance – the exact days where every good choice you make, every lucky coincidence you experience, and every wonderful outcome you get feels like the Universe itself is rooting for you. On the flipside, imagine being able to pinpoint the tricky days where it’s better to just lay low instead of carrying out anything big – like signing a contract, quitting your job, moving house or even getting married. What effect would this ‘superpower’ have on your career? Your wealth? Your health? Even your love life? With the annual subscription you pay once a year. 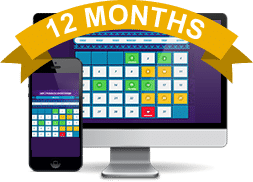 It costs less than the quarterly plan, and you get to see farther ahead - a whole year ahead instead of three months ahead, and you have access to the bonuses! Get ALL Bonuses and see 12 months ahead. You get an entire Quarter for Free! Ready to dive into aligning with your cosmic rhythm and uncover the direction of your life in the coming months? 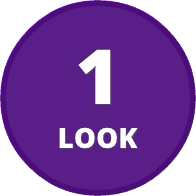 Claim your look-ahead subscription to highlight the exact days that are celestially destined to attract opportunity, risk, and sometimes even danger into the most crucial areas of your life. You can choose to look either two, six or twelve months into the future. You’ll get a calendar that is easy to view on all your devices, including your phone to reference in a snap. You'll have the power to plan, to avoid difficulties and achieve success. 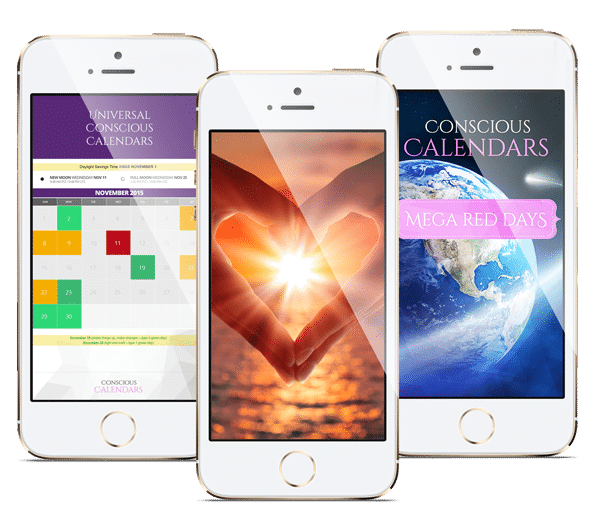 Your Conscious Calendars subscription includes the current free month, plus easy merge Calendar for your phone and access to all the bonuses below. Ever since I found Conscious Calendars I LOVE it and have become a Conscious Calendar addict! The calendar helps me plan my day, meetings and appointments for improved success and communication. Conscious Calendars like my personal calendar is something that gets a daily look. Like my personal calendar I can't imagine being without it. I have come to understand the awareness of a conscious calendar through the dedicated work of Vedic Astrologer Kathleen Whalen. My goal with Conscious Calendars is to bring the timing and conscious power of Vedic astrology to everyone in as fun and easy a way as possible. Part of that is also making it accessible - which is why I want you to experience how this simple system impacts your life over the next 30 days. Access ancient wisdom, while you consciously queue your dreams, hopes and plans. It is easy to align with the cosmic rhythm that surrounds and is within you. Conscious Calendars helps you key into that rhythm. It's like an energetic weather report, with a year view. Copyright 2016 © ConsciousCalendars. All Rights Reserved.